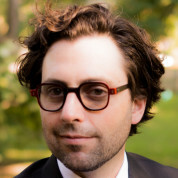 Jordan Shapiro, PhD is senior fellow for the Joan Ganz Cooney Center at Sesame Workshop, where he coordinates research and advocacy around digital technology and education policy. He also writes a Forbes’ column on global education, learning through digital play, kids and culture that has been read by over 3 million people around the world. He’s an internationally celebrated speaker and consultant whose fresh perspective combines psychology, philosophy, and economics in unexpected ways. Shapiro is an advisor and strategist to the United States Air Force and Thomas Edison State College, helping to shape how they provide individuals sophisticated 21st century critical and agile thinking skills. During the week, you can find him in the classroom at Temple University, where he teaches in the Intellectual Heritage Program, serves as the Associate Director for Digital Innovation at the College of Liberal Arts, and developed the University’s forthcoming curriculum in technological literacy; it’s the first of its kind in the United States, preparing students with a comprehensive understanding of the unique issues digital technologies pose for tomorrow’s workforce and a global economy. "I'm privileged to have had an education that taught me to approach the world with openness, curiosity, and flexibility. I was surrounded by great teachers that modeled the rigorous intellectual discipline needed to disrupt culturally constructed ways of knowing, to bypass static habitual perspectives, and to greet the world with empathy, authenticity, and a playful sense of humor. The Global Teacher Prize is exciting because it acknowledges the importance of teachers and the enormous impact they have. The future is in the hands of our children; the spirit they encounter in today's classrooms will provide the foundation for tomorrow's world."